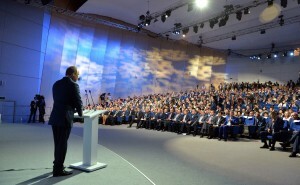 While Western pundits have been busy building the myth of “Russian isolation” all throughout the summer, the country itself has been busy hosting four major forums and summits that absolutely refute the mainstream media’s false narrative. 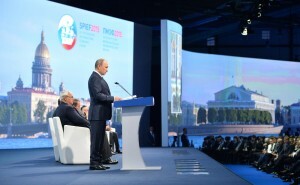 The Saint Petersburg International Economic Forum (SPIEF), BRICS Summit, SCO Summit, and the Eastern Economic Forum (EEF) have each succeeded in their own way to cement Russia’s role as one of the leading economic centers of the multipolar world. They all have something else in common, too, which is that each of them is a strong step in the direction of North Eurasian economic integration, with the grand intent of more solidly posturing Russia for its eventual economic expansion into the southern reaches of the supercontinent. Thus, the overarching goal is for Russia to more robustly make its presence felt in every corner of Eurasia, leveraging its institutional influence as a vanguard in actualizing its grand geo-economic ambitions. The first part of the article begins by reviewing the four major forums and summits in Saint Petersburg, Ufa, and Vladivostok, drawing attention to some of the relevant themes and results of each. Afterwards, it transitions into a brief discussion of how these yearly events are helping Russia to consolidate its North Eurasian position. The second part of the piece continues by examining how this aforementioned consolidation can facilitate three specific southward shifts that Russia is expected to enact. Finally, the series ends by looking at Russia’s economic vision beyond Eurasia and assessing the feasibility of its global strategy. This annual event in Russia’s “Western Capital” saw $5.4 billion worth of deals signed this year, but the most important takeaways related to the energy sector. Two noteworthy memorandums were agreed to for the construction of the Nord Stream II and Greek Stream gas pipelines, the latter being the first planned expansion of Turkish Stream. These two projects are complementary in deepening the interdependence between Russia and Europe, which his even more significant at this given time because they show that the politically charged sanctions cannot eliminate the natural economic basis on which bilateral relations have historically been established. Alongside that, these energy projects also demonstrate that there is a degree of political will present in Europe to independently sidestep the US-pressured sanctions and intensify strategic sectoral cooperation with Russia. While the EU as a whole is still an American protectorate (after all, it followed the US’ lead to sanction Russia), Washington’s hold over some of the continent’s capitals isn’t as complete as it would like to believe. The possibility (however distant) is thus held out that one day this colonial relationship can be further unraveled as select European nations continue to pursue their national interests irrespective of American coercion, culminating in what might eventually become the refutation of the entire sanctions policy and more. This explains the vehemence with which the US opposes any and all European energy cooperation with Russia, since it senses that such measures are the first step along the path of reversing American influence (whether the EU countries wittingly know this or not). The last takeaway relevant to the discussion at hand is the surprise nuclear energy agreement that Russia signed with Saudi Arabia at the forum. Nobody had expected this, as bilateral diplomacy up until that point had been largely relegated to the shadows out of consideration for the extreme political sensitivity of its nature. There’s a lot more to this tangent than the scope of the present article entails, but what’s important to recognize is that nuclear energy cooperation with any nation, let alone with oil leader and regional nation-wrecker Saudi Arabia, always has a deeper strategic meaning. More often than not, it foreshadows a coming intensification of full-spectrum relations, which in this case is particularly with one of the US’ most traditional allies. The crowning achievement of the BRICS Summit was undoubtedly the dual launching of the BRICS New Development Bank and the Contingent Reserve Arrangement (the currency pool). These two institutions are the twin pillars upholding the creation of an alternative global economic order, and it’s very significant that Russia has not only taken a leading position in their establishment, but that they formally began their operation during the Russian-hosted event. As is common knowledge, Russia is working hand-in-hand with China in pioneering the rise of non-Western institutions to liberate ‘the bronze billions’ (all those outside of ‘the golden billion’) from the Washington Consensus. 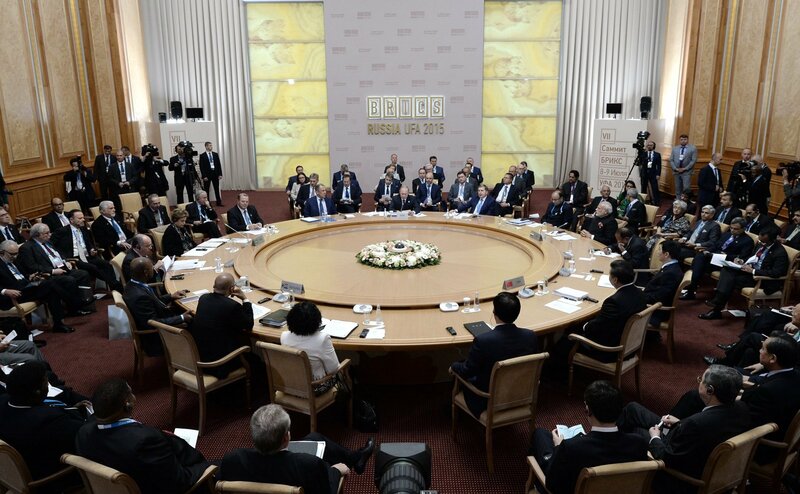 As it connects to the discussed theme of this article, the success of the BRICS Summit showcases the global reach of Russia’s influence, with its strongest point being the trilateral intersection between itself, India, and China (RIC, the actual forerunner of BRICS). To top everything off, the five participants agreed to the Ufa Declaration, a broad-based document that lays out the unified position of the BRICS countries on a diverse variety of international issues, with an obvious focus on economic cooperation. This summit was held immediately after the BRICS gathering, and its most notably visible success was in expanding the organization by initiating the accession of India and Pakistan. Aside from the military-political connotations that this embodies, it also bodes well for the economic vision of the SCO, which has lately been emphasizing this benefit of its membership. Pertinently, it’s not without reason that China proclaimed that the organization could serve as a useful platform for the New Silk Road, and this year’s summit also included talk of an SCO Development Bank to assist with this. 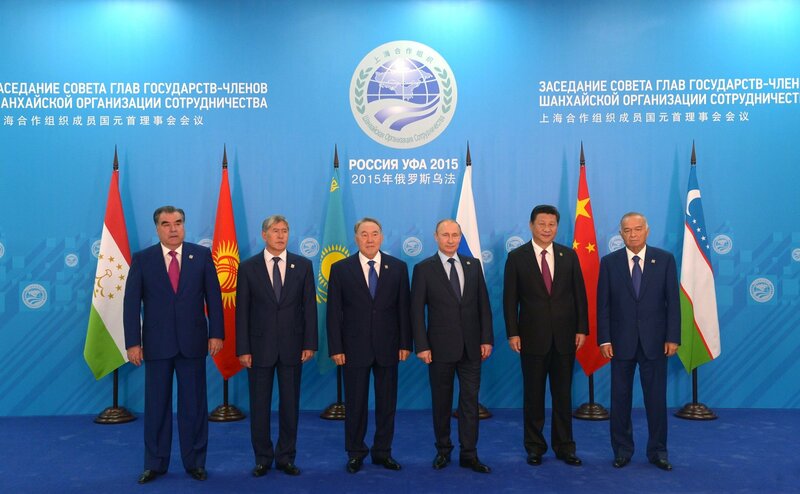 Thus, it can be witnessed that the SCO has succeeded in rebranding itself as an integrational institution with concrete economic potential, which thus holds massive future importance due to its three anchor economies (Russia, India, China) and the geostrategic space (Central Asia) between them. In the context of Russian geo-economic strategy, this provides the country with a North-South trade avenue from Siberia to South Asia (going through Central Asia and Iran) and strengthens the ties between Russia and China both on a bilateral basis and via the connective infrastructure linking them through the former Soviet Republics. The first-ever Eastern Economic Forum held in Vladivostok is an Asian-directed investment and integrational platform for developing the resource-rich Far East region. This enormous corner of the country holds the keys to Russia’s evolution from a European-centric economy to a more diverse one that embraces economic multipolarity as much as it practices its political manifestation. The Far East functions not only as the Pacific gateway of the Trans-Siberian Railroad to Europe, but also as a key logistics node along the Northern Sea Route. As a supplement to the latter, investment in the more distant Advanced Special Economic Zones in the northern reaches of the region could lead to connective infrastructure being built to both Vladivostok and Arctic Ocean ports, which would thus make the warm-water city the southern terminus of a new North-South trade axis. Furthermore, if the two Koreas can be linked to Vladivostok via a rail network, then Russia’s “Eastern Capital” would be positioned to become one of the most integral Pacific hubs in Northeast Asia owing to its unique geostrategic ability to connect the Korean Peninsula, Japan, and Northeast China to Russia, the Arctic Ocean, and the EU. It’s in the pursuit of this long-term vision that President Putin has placed a priority focus on developing the Far East to enhance the viability of Russia’s Pivot to Asia and its function in the Asian-gravitating global economy. These four summits and forums function as the cornerstones of Russia’s larger geo-economic strategy, which is to consolidate its position in Northern Eurasia before moving to its rich southern coasts. Prior to the shift, Russia must first succeed in tethering itself to the Western (EU), Central (Central Asia), and Eastern (East Asia) markets of Northern Eurasia and become the most convenient trade conduit between the EU and East Asia. 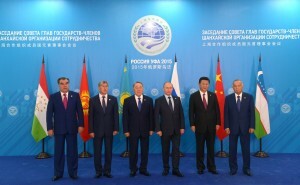 It aims to fulfill this gargantuan task through utilizing the combined economic potential and institutional overlap of the Eurasian Union, the SCO (its Central Asian members in this context), and the Silk Road to inaugurate a Eurasian Land Bridge, which will serve as the land-based counterpart of the Northern Sea Route. Looked at through the prism of the four summits and forums discussed in this piece, it’s becomes clear what role each of them plays in this united framework. SPIEF is directed mostly towards the EU, although in recent years it’s become more geographically inclusive through the interest Mideast (Saudi Arabian), South Asian (Indian), and East Asian (Chinese) companies have shown in the event (in large measure due not only to the sanctions, but also to the widespread realization of Russia’s geo-pivotal economic role as explained above in this article). The SCO, although expanded this year to formally include South Asia, has always been a catalyst for cooperation between Russia, China, and the Central Asian states, with the two cores (Russia and China) concentrating on the synchronization of their ‘Heartland’ policies. The EEF deals most directly with East Asia, and it seeks to diversify Russia’s pivot there through the broadening of ties with its Korean and Japanese neighbors. Finally, the BRICS Summit touches upon all of these and more owing to the revolutionary impact that it’s having on the global economic architecture. Altogether, the building-block vision is to connect the aforementioned trade routes to Russia, using the forums and summits as multilateral opportunities for bringing together all the relevant partners (as well as attracting new ones) in order to coordinate their efforts and promote new joint projects. Ideally, Russia would like to occupy the central role in managing EU-Chinese, Central Asian-European, and Central Asian-East Asian trade logistics, with the expectation that there will be sufficient residual benefit to develop its under-populated transit regions and contribute to the national wealth. 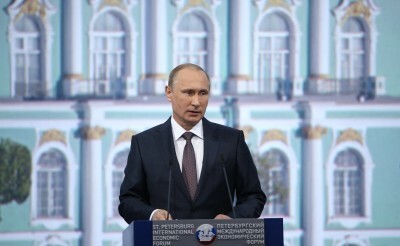 Additionally, setting up a stable and efficient multifaceted trade network spanning the breadth of the North Eurasian economic zone (EU/Russia/Central Asia/China or Lisbon to Hong Kong via Moscow and Tashkent) will make it a lot easier for Russia to leverage its economic potential in a southwards direction, which represents the next logical step of its geo-economic grand strategy.